At lunchtime today Doodles and Oodles asked me if they could make Gloop. I agreed immediately and started to get out the cornflour and paint etc. (see here for our gloop recipe). They then began shouting out other things that they would like to add to it. 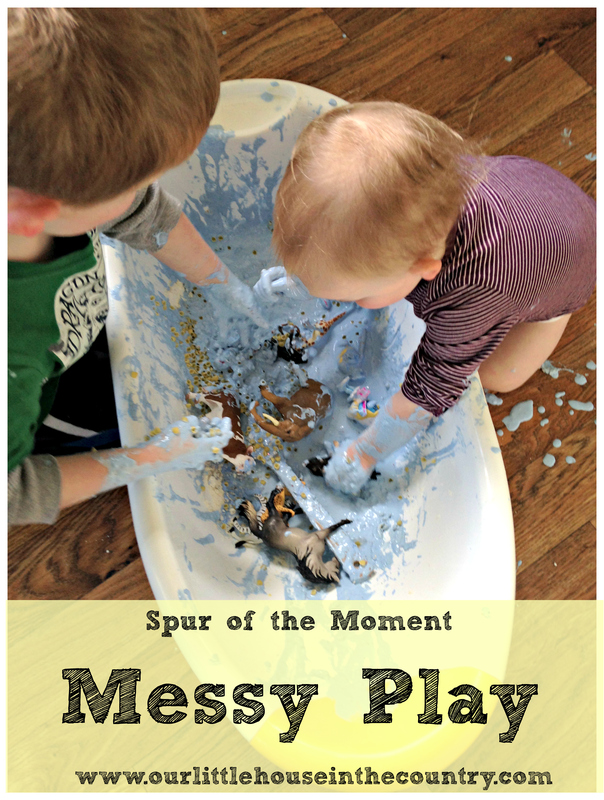 So today we are sharing our spur of the moment messy play fun. It was their little experiment to see what types of textures they could make using a variety of materials. I’m going to let the pictures tell the story, but briefly, we took out our old baby bath and Doodles and Oodles gradually added the above ingredients as they saw fit! They played and squished and poured and splashed for ages. By the time they were finished they were like little Smurfs. I had to strip them completely and carry them down to the shower to wash all the gooey, gloopy, lovely blue mess off! They added the flour, cornflour, glitter, glue and paint to begin with! They spent quite some time growling at each other pretending to be gloop monsters! The more water they added the messier it became and that’s when the animals got thrown in! They thoroughly enjoyed adding the pasta and noodles into the mix! At first it was all crunchy but as the played the pasta and noodles started to soaked up some of the water and became soft and slimy and they were able to mould it. 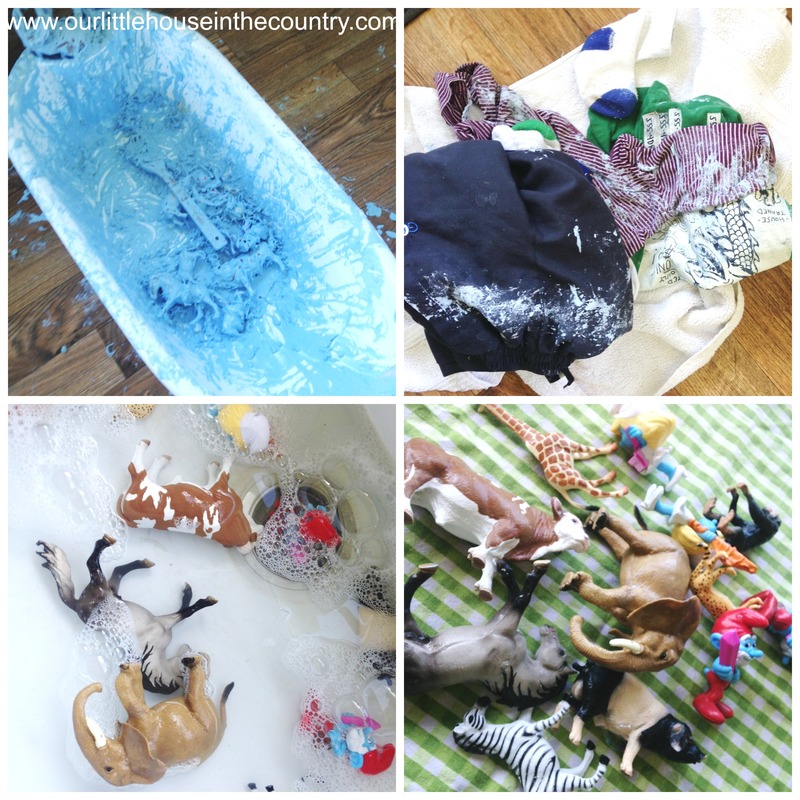 The aftermath – a blue bath, a blue kitchen, 2 Smurf children in the shower, a sink full of plastic toys in need of a scrub! I love how you let them add what they wanted to see what would happen! It sounds like delightfully messy fun! The messier the better in this house, they had so much fun. My 4yo is big into experimenting at the moment- every activity is a science experiment according to him. I love giving them free reign to explore their own ideas! Thanks for stopping by! This is so great! I love that they wanted to add different items to the gloop. Thanks for visiting my blog! They had do much fun! They love experimenting! Thank you for visiting mine! Have a lovely weekend! This looks like such a fantastic day of fun! Don’t children just love mixing up messy concoctions! Thanks for visiting! Hope you enjoy it, we had such good fun with it! Thanks for popping over and for following! Have a great weekend! Wow, it looks like they had great fun! They had a great time! Thanks for stopping by! Have a lovely weekend! Brilliant fun, the messier the better! Thanks for hopping over!!! Have a great weekend! I’m still finding noodles and goopy blue pasta in the shower after showering them down after all the fun! Thanks for visiting! Looks like so much fun! I love the fact you let the children take the lead in this. 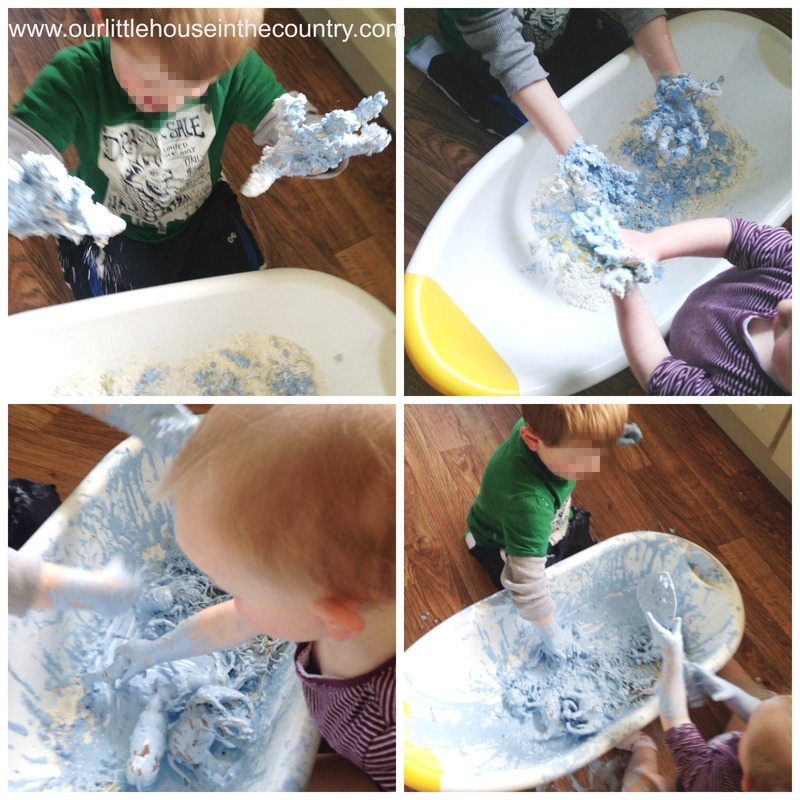 Must do more messy play with Cameron! Wow! 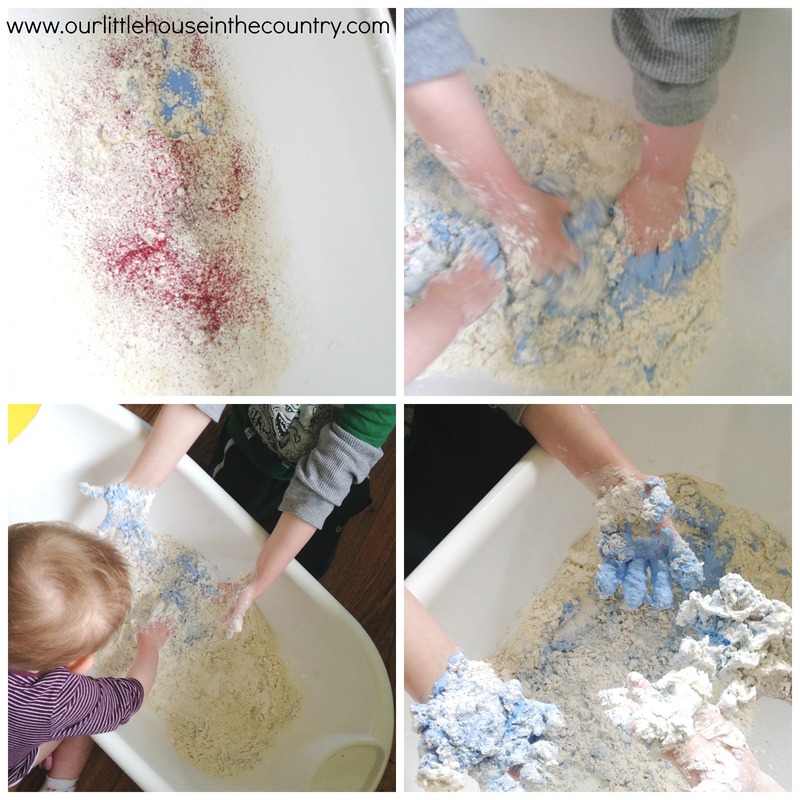 What a lot of sensory, messy exploratory fun. I bet they had a whale of a time! They had a really great time, great link up and love your blog! Haha! That is so cute! Looks like they had tons of fun! That really does look so much fun. Freedom to be messy is the best! Sometimes I wish I was their age again to have all this messy fun!!! Mind you I’m having plenty of fun joining in with them! Thanks so much for visiting! I really, really need to do this with my boys! I often let my OCD get in the way of what I know they would enjoy so much. The idea that we could be spontaneous and just get messy and enjoy ourselves is something important that I want them to claim. I will be trying this at home! Thank you for the reminder. Thanks for visiting Katy, hope you have fun!!!! 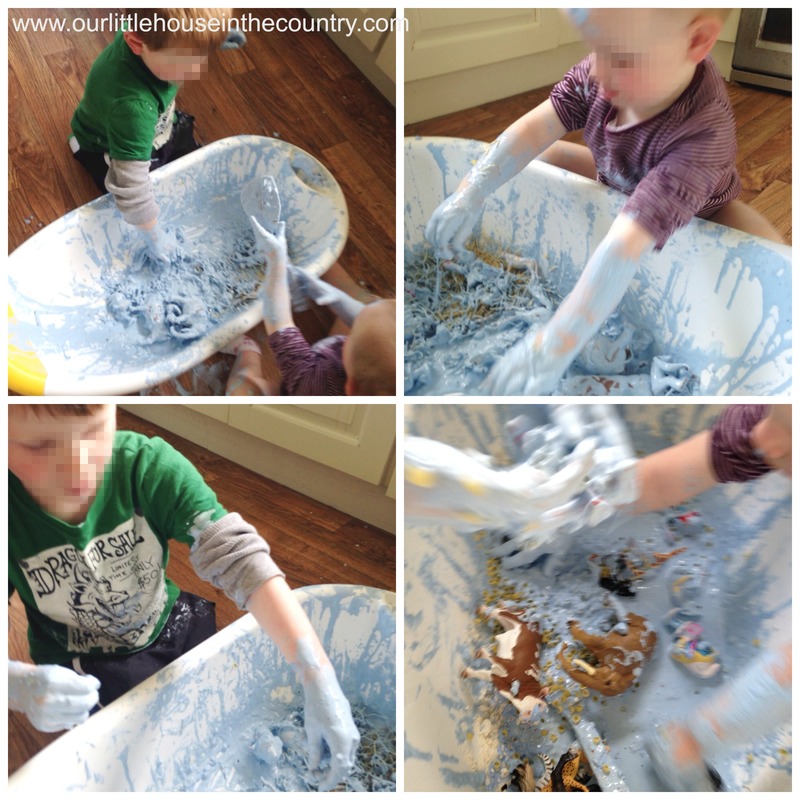 Oh my gosh, this looks like so much fun – the ultimate in messy play! Absolutely brilliant fun! Thanks for stopping by! Pingback: How do you do it? Parenting Link Up #23 | What's up Fagans? Pingback: How do you do it? 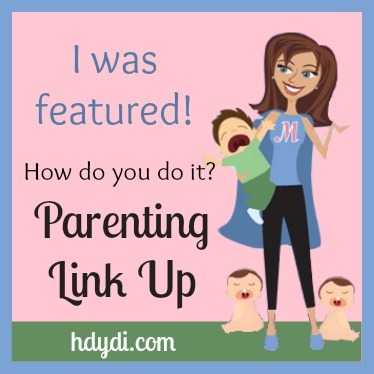 Parenting Link up #23 - How Do You Do It? 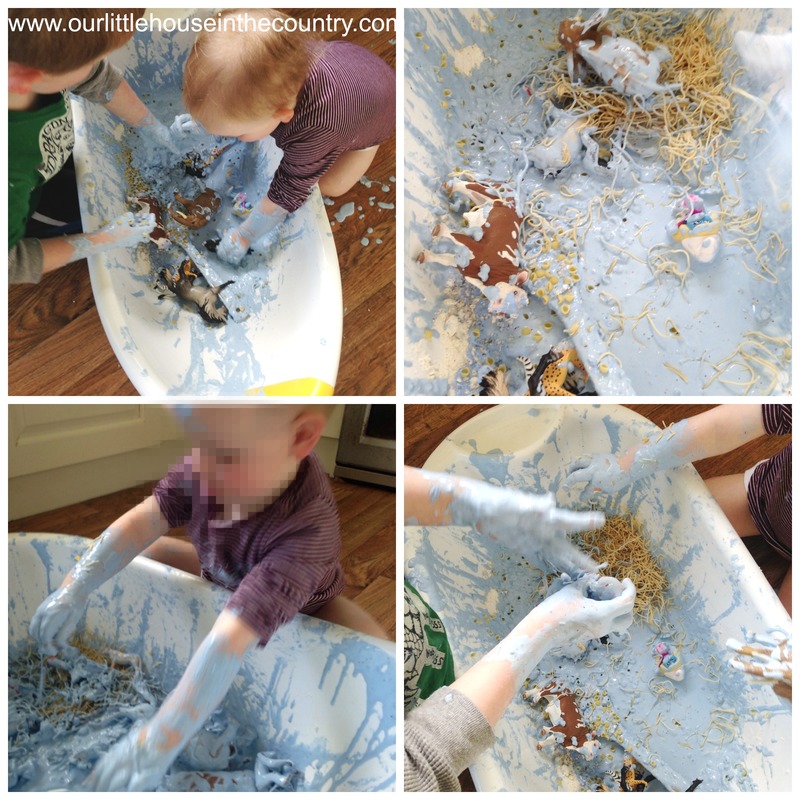 Oh how we love unexpected messy play over here. This looks like they had a wonderful time. I can just hear the giggles.